The Girl with the Dragon Tattoo scrubs up pretty well, don't you think? 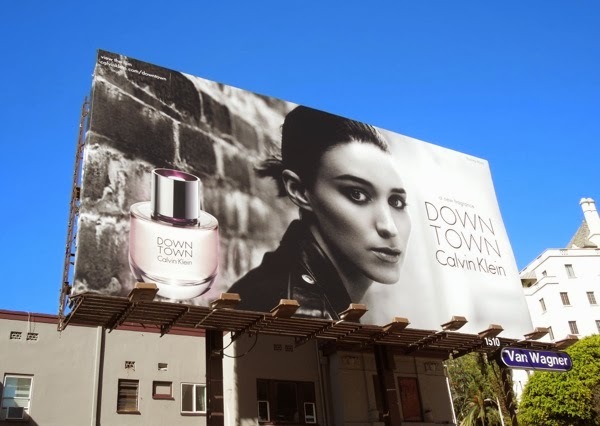 Rooney Mara is the latest Hollywood actress to model for Calvin Klein, for their new designer fragrance for her, Downtown. The fresh-faced American actress, devoid of any piercings or tattoos, still looks sleek, stylish and edgy in a leather jacket against that brickwork in the background. 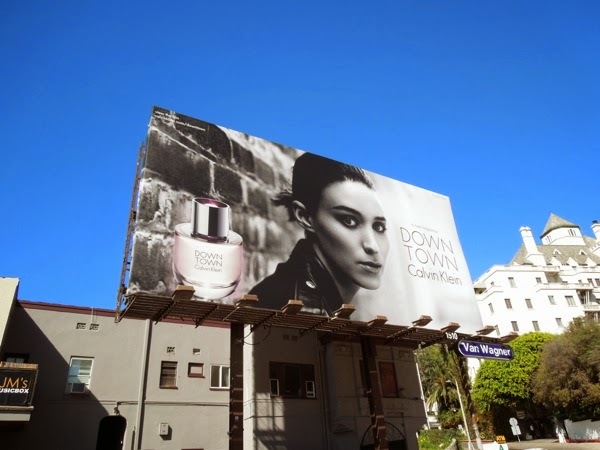 This arresting mono Calvin Klein perfume billboard was snapped along Sunset Boulevard on September 22, 2013. 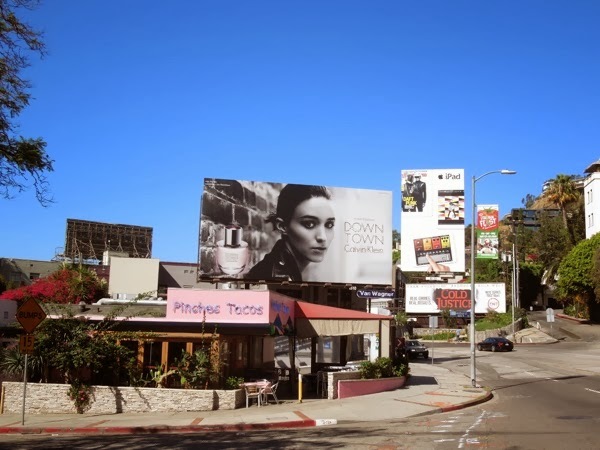 If you're an admirer of the actress, be sure to also check out Rooney Mara in these movie billboards for The Girl with the Dragon Tattoo. 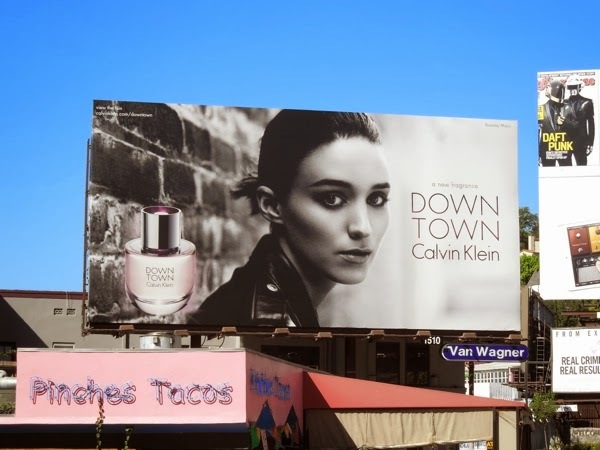 The gift-giving season is fast approaching, so Daily Billboard is sure we'll be seeing more perfume and cologne ads appearing in the skies soon, but in the meantime have a look at these other fine fragrance billboards from around the streets of L.A.